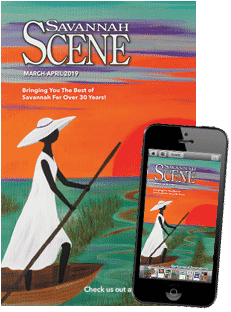 We all know that the first weekend of every month is a celebration in Savannah with the Art March, fireworks, live music and tons of artist/craftsman tents set up on the plaza. But did you ever want to know a little bit more about some of the artists and their products? Look no further! We’ve got a little sneak peek into some of the coolest booths that you just can’t miss. The Candace and Kids Soap Company makes all their products by hand on their family farm in Thomaston, Georgia. They always use 100% farm fresh goat’s milk in their soap, and they never dilute it with water. That means the filmy feeling after washing with a bar is history. 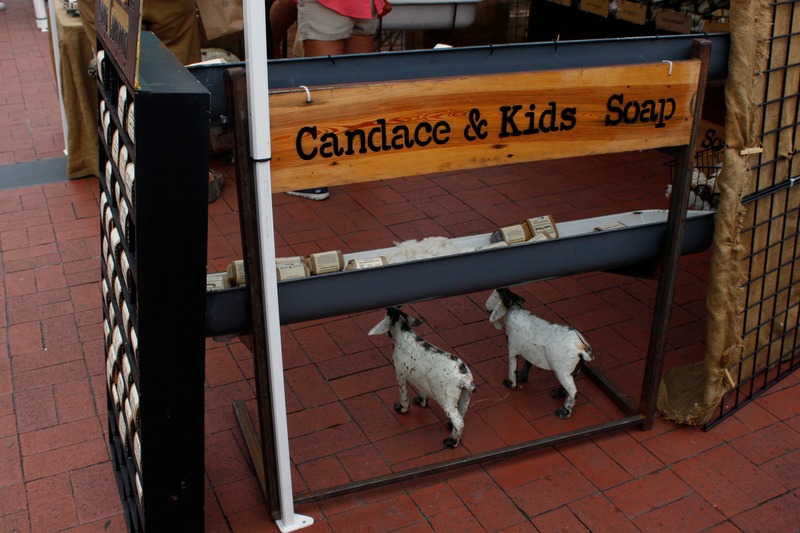 Candace is completely self taught, learning soap making at home in her bathtub, but she now sells products in locations all over Georgia, Florida, Mississippi, and Tennessee. 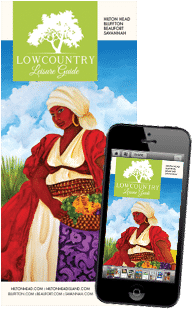 The rest of the ingredients include unrefined shea butter, olive oil, palm oil, coconut oil, and soy oil, and then any other added ingredients for scent. 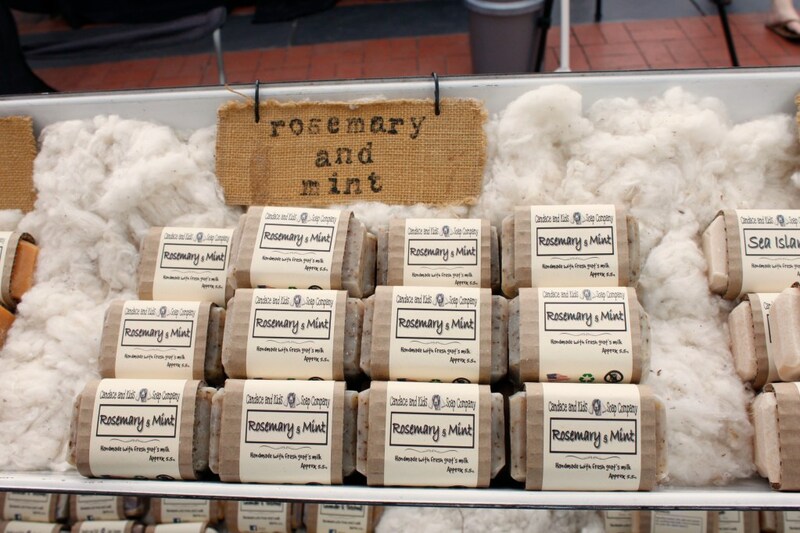 Some of the most popular scents are rosemary mint, sweet tea, and Georgia peach. 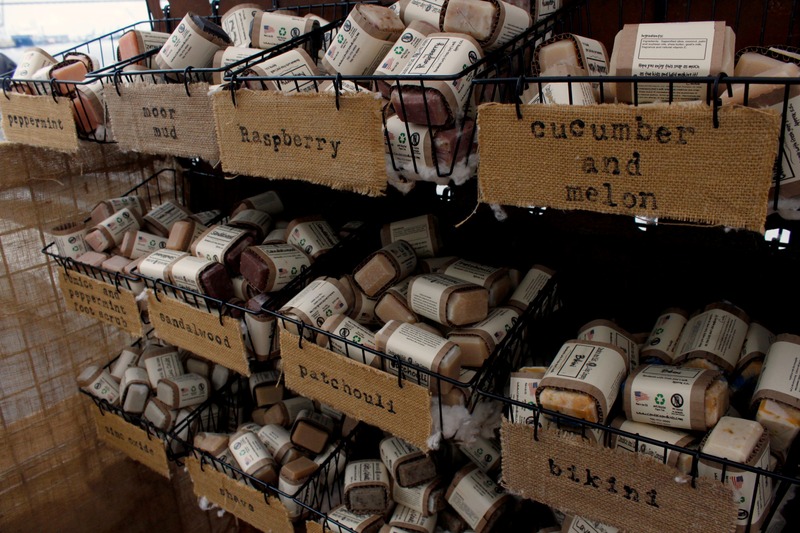 The bars are all “wildcrafted,” meaning they’re grown in the wild without chemicals or pesticides; a bar will last about twice as long as a bar of regular soap, and the packaging is all made of recycled products. But the best part of all this? 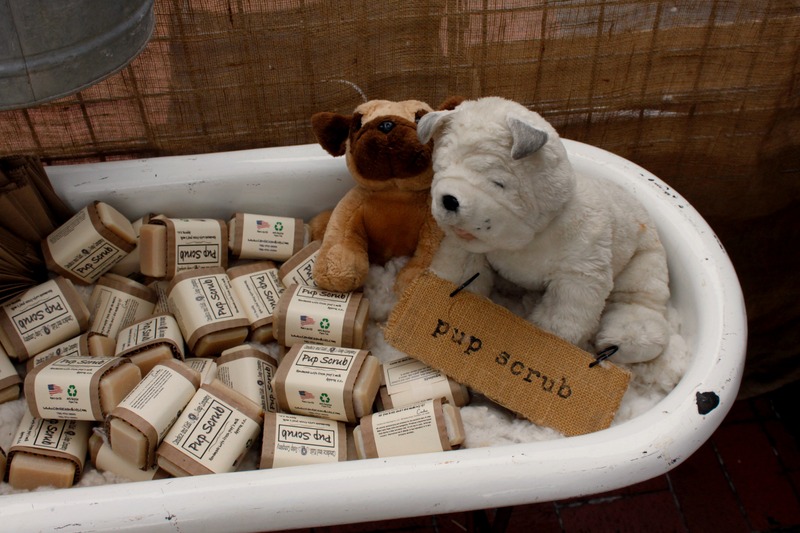 The soaps also work as shampoo too (even a special kind for your pups)! So lather, rinse and repeat! 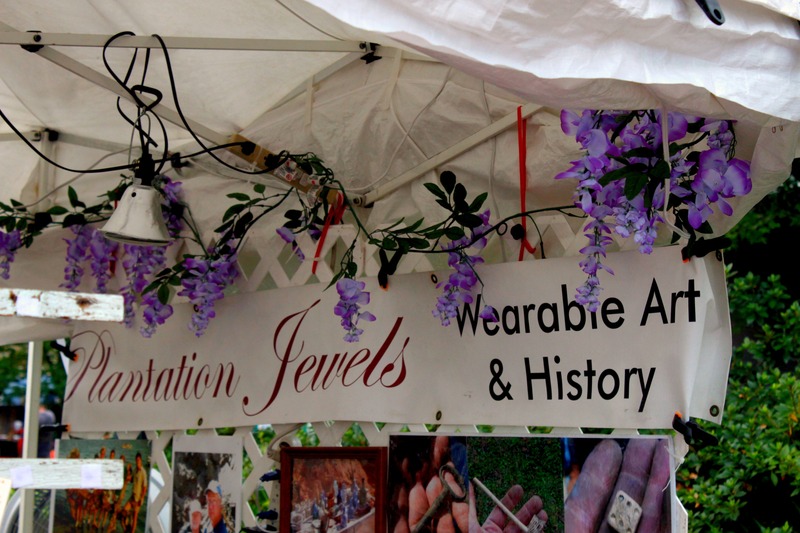 Plantation Jewels is another cool one of a kind booth, it’s wearable history. 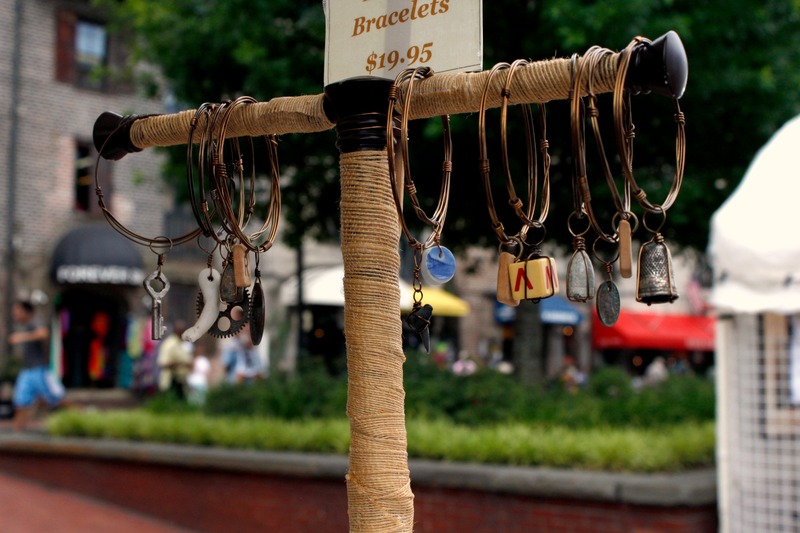 The owner Paul and his wife started working together about seven years ago, turning old artifacts into jewelry. Paul and his twin brother Frank first started excavating objects and ten years old when their parents built a house in Richmond Hill and found very old china shards in the lot. Then, when a man with a metal detector found Civil War bullets on the property, “the rest was history”. They bought a metal detector the next year to share and also started scuba diving around shipwrecks, local rivers, and off shore. 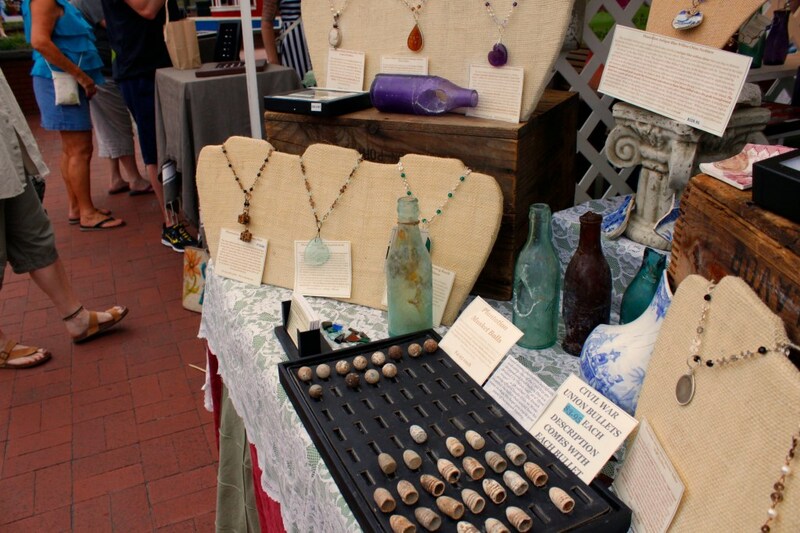 This is a great place to stop by for a really special, one of a kind gift — they make it all: rings, bracelets, earrings, necklaces, using artifacts like civil war bullets, shark teeth, sea glass, old china, antique bottles, cameos, Native American beads, clock parts, coins, dice, and anything else they can dig up in our backyard! 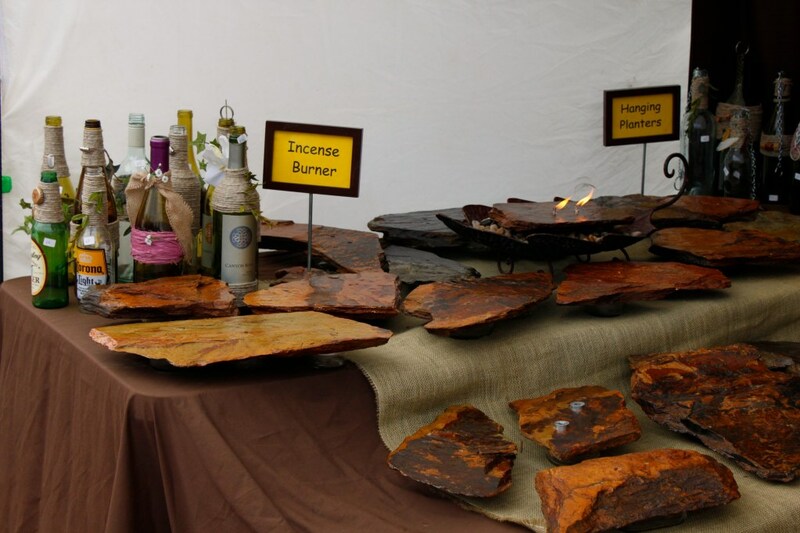 This booth sells products that are called Rock Oil Candles. Each candle is made from schist rock taken from the Blue Ridge Mountains in North Georgia. 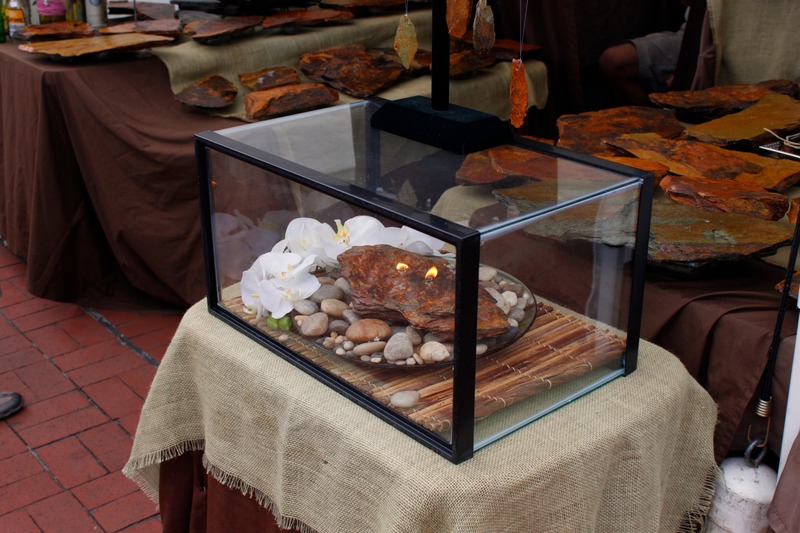 Each rock is hand selected to get the perfect shape, color, and texture. After the rock is selected, a plastic reservoir (which is made form recycled bottles) is attached to the bottom of the rock where the hole was drilled. Just fill up the reservoir with either Paraffin or Citronella oil, put in the wick, and it’s ready! But why use a rock oil candle instead of a regular one? The rock oil candles are great because they never have to be replaced. Ever. This is because the wick is made of fiberglass, which doesn’t burn. If burned properly, it will never have to be replaced. But if on the off chance it isn’t burned properly, the first replacement wick will be mailed free of charge. And if you want to change up the scent just add in a few drops of essential oils like rose or lavender.